Candida Yeast Die-Off Symptoms: What You Need To Know About Herxheimer Reaction - YeastInfection.Org by Eric Bakker N.D. If you suffer from candida infection, it is more than likely that you have heard about “Candida die-off”. But what exactly is candida die-off? How scientific is the concept? Is there really something to it? You may have found a lot of information on die-off around the internet, some vouching for it, while others calling it a myth. This can cause a lot of confusion. This article will throw light on what is known and how to navigate through this information. Die-off is also called “Jarisch-Herxheimer reaction” (JHR), “Herxheimer reaction”, “therapeutic shock” or more commonly “Herx”. This reaction was known as early as 15th century when arsenic ointment was used to treat syphilis. However, it was documented for the first time in 1895 by Adolf Jarisch, a dermatologist from Austria. He noted that the lesions of syphilis got worse when treated with mercury. Later in 1902, German dermatologist Karl Herxheimer reported a similar phenomenon. Herx was defined as a transient immune reaction in patients within 24h of undergoing antimicrobial therapy for syphilis. The symptoms reported by Jarisch were fever, chill, tiredness, muscular pain and worsening of syphilis lesions. Since then this reaction has been noted in other infections caused by other spiral bacteria (spirochetes) – like lyme disease, leptospirosis, tick borne relapsing fever and louse borne relapsing fever. The reaction occurs a few hours after starting antibiotics against these infections. Symptoms reported are headache, fever, shivering, tiredness, low blood pressure and sweating and worsening of the symptoms of the infection that one is being treated for. For syphilis, JHR was found to be more severe in early stages of the disease. According to the 1976 report by Mesilin and Bremer, JHR only happens when there is a critical number of the infecting organism – if this number is not reached JHR will not occur. JHR has been reported to also be caused by bacteria other than spirochetes and protozoa although there are only some case reports and not much is known. In 2009, a case was reported by Cheung and Chee from Singapore that showed worsening of inflammation of the eye after start of the treatment for tuberculosis. This was the first report of JHR affecting the eye. There is a 1983 report, by Berkowitz and colleagues from South Africa, about JHR during treatment of meningitis caused by meningococci bacteria. There are several other bacterial infections where cases have been reported to experience JHR after starting treatment. Another 1984 case report by Kofoed from Denmark described JHR in a patient with malaria (which is caused by a protozoan) after treatment. What symptoms are included for die-off? Die-off symptoms are similar to the symptoms of sepsis – where your whole body has an inflammatory response to an infection. The exact symptoms may vary from person to person and may also depend on the overall health of the person. The most common symptoms include fatigue, joint or muscle pain, sensitivity to light, dizziness, sweating, chills, fever, headache, low blood pressure. This can be accompanied by worsening of some symptoms of the infection that the patient is being treated for. Endotoxin theory: According to this theory, it is the endotoxins that are released from the dying bacteria that trigger this reaction. While some studies have detected endotoxin in the blood of patients with die-off symptoms, others have failed to detect them. The conflicting results could be because of different quantities of endotoxins and different sensitivities of the test assays in different studies. It is reasonable to think of endotoxins when it comes to certain types of bacteria called the Gram negative bacteria like the bacteria that cause meningococcal disease (Neisseria), syphilis (Treponema), lyme disease (Borrelia) etc. This is because this type of bacteria have special molecules in their cell wall – the lipopolysaccharides (LPS) – also known as endotoxins. These molecules elicit a strong immune response in our body by binding to many of our immune cells which makes them produce inflammation causing molecules like cytokines, nitric oxide and eicosanoids. They also cause symptoms of sepsis. Cytokine increase theory: Certain types of our immune cells secrete molecules called cytokines which regulate our immunity and have a specific effect on communication between our cells. This theory suggests that treatment of an infection results in a transient increase in the release of cytokines. A study by Negussie and colleagues from the UK, published in 1992, showed that elevated levels of cytokines like tumor necrosis factor (TNF), interleukin-6 and interleukin-8 could be detected in patients with JHR. In contrast the cytokine levels were not increased in patients without JHR. When cytokine levels increase beyond a certain level in the system, we get flu-like symptoms. Thus, cytokine release theory seems to link to the endotoxin theory and seems reasonable as some of the symptoms of die-off resemble flu symptoms. Antibiotic speed theory: According to this theory, the speed with which the antibiotic kills the infecting organisms determines if a patient will get die-off or not. In 1992, Nadelman and colleagues from USA found in their blinded random controlled trial that a more rapidly acting antibiotic had higher chances to produce die-off in patients with lyme disease as compared to a slower acting antibiotic. On the other hand, opposite seemed to be true in a 1978 study by Butler and colleagues – however they only tested a total of 30 patients whereas Nadelman and colleagues had tested a total of 123 patients. Put simply, according to this theory, if the antibiotic kills the infection causing organisms too fast, you are likely to get die-off symptoms. Microbial clearance theory: This theory suggests that some antimicrobial agents allow faster clearance of the microbes from the system compared to others – the faster the clearance, lower the chances of getting JHR. A 1983 research by Warrel and colleagues from USA treated two sets of patients with slower and faster acting antibiotics respectively. They found that patients in both sets had JHR, however, JHR lasted longer in one set as compared to the other set of patients which correlated with how fast the microbes were cleared from the blood. Now that we know what die-off is and where it is used as a medical term, let us get to die-off caused by candida. Internet is rife with information on candida die-off. In fact die-off is so popular in the circles of candida sufferers that it is used both in the right and wrong contexts. Die-off is expected by many when they start candida treatment. So when anything out of the normal happens while continuing the treatment, it is immediately termed Herx. However, not every symptom means herx! And you really do not need to get a die-off reaction to treat your candida infection. If you have read properly up to here, you must have understood that it is the Gram negative bacteria with their endotoxins that cause JHR or die-off reactions. It is important to remember that “endotoxin” is a very specific term which should only be used in the context of LPS and cannot be used loosely to denote potential toxins inside the cell. What about candida then? It is a fungus and is NOT a Gram negative bacterium and it dos not have LPS/endotoxin. So can candida, in fact, cause die-off or is candida die-off a myth? Let us look at what evidence has to say about this. In 1962, Isenberg, Allerhand and Berkman from USA showed that Candida produces one or more substance that has endotoxin like toxic activity. Ten years later, American scientists – Cutler, Friedman and Milner – studied the endotoxin-like effects of whole cells, cell wall components and different extracts of candida. They found that at least two of candida components had similar effects but at a much higher dose-level than from bacterial preparations. However, these effects are definitely not from the LPS (endotoxin) as candida does not have LPS. So, what is happening with candida? Research in the last few years has showed that candida cell wall contains a polysaccharide (it is NOT lipopolysaccharide) called beta-glucan. A 2006 review article describes the composition of candida cell wall. Candida has an outer wall made of the polysaccharide “mannan” and some proteins, and an inner wall containing a layer of beta-glucan and chitin each. Research work published in 2007 by Gow and colleagues from UK showed that the cytokine production in response to candida is dependent on the beta-glucans present in the candida cell wall. Very interesting is their finding that the disrupted cell wall of candida induced more production of cytokines as compared to live cells. This was due to beta-glucan getting exposed because of cell-wall disruption. This matches very well with the herx reaction that people with candida infection experience. A sudden increase of dead candida cells will cause a higher level of cytokines to be produced due to exposure of beta-glucan – which will result in the flu-like symptoms of a herx reaction. No, candida die-off is certainly not a myth but the pathway by which candida die-off happens is different from the pathway for a bacterial die-off reaction. It happens when you kill a lot of candida in one go. It can make you feel really bad physically and mentally. However, it does not involve endotoxin but likely involves another component of cell-wall – beta-glucan. It is important to get the concepts right – saying that endotoxins cause candida die-off is as wrong as saying “a house protects us from elements of nature because the house has leaf covered branches”! Won’t you think that only a fool would say that? We can certainly compare the protection from sun and rain afforded by a tree and a house, but of course, the house has no leaf covered branches. It is because of wrong information like this on the internet that issues related to candida are called quackery. Anyone who knows some microbiology will say “endotoxin and candida – that is rubbish!” – An issue that deserves attention from the scientific community will just get brushed-off as being “non-scientific” due to incorrect information! Candida related symptoms: based on what kind of candida infection you have (skin/genital organs/mouth/gut) you may find that symptoms of this infection have worsened. You may get skin rash, acne, itching, mucus in stools, increased discharge, diarrhea, constipation, gas/ flatulence, vomiting, brain fog, or hair-loss. There can be multiple other symptoms depending on the kind of candida infection you have – generally these symptoms will feel like you have worsened your candida condition. Did you in fact catch a flu/cold/bacterial infection? When you have candida infection, you are more susceptible to infections of all kind as candida suppresses your immune system to establish itself. When you make sudden changes to a diet/lifestyle when trying to treat candida, it leaves you vulnerable to infections as your system gets overwhelmed. So, rule this out before you think herx. You need to be aware that flu by itself can worsen the symptoms of your chronic candida infection. So just because you have started a candida treatment and have herx-like symptoms does not mean it is herx that you have. Is this a physiological response (withdrawal) to something I changed? When you are on a candida diet, you may stop taking some addictive things like tea/coffee/nicotine/sugar they can give withdrawal symptoms – headache, muscle pain, fatigue, nausea, vomiting etc. Yes, you read it right, sugar can be addictive and can also give these withdrawal symptoms as has been described in a 2008 review article by Avena, Rada and Hoebel from USA! Am I starving myself of nutrition? If you are removing all sources of carbohydrates in your candida diet, you most likely are also removing a lot of nutrition in form of vitamins and minerals. Carbohydrates are also a part of balanced nutrition and completely removing them from your diet is not a very smart thing to do. When you starve yourself of nutrition, you will get symptoms like headache, nausea, fatigue, dizziness, lowered body temperature and sensitivity to cold (cold hands and feet), irritability, brain fog, etc. which can wrongly make you think that you are experiencing a die-off. Is this an allergic reaction to something? If you are experiencing symptoms like hives, dry mouth, dry eyes, dark circles under the eyes (allergic shiners), difficulty breathing, tightness of the chest, it will be wise to consider if you are having an allergic reaction to something new that you have eaten (diet or anti-fungal related). Whereas hives and allergic shiners are generally benign, respiratory symptoms can be dangerous and you should talk to your doctor regarding these. When the symptoms of so many things overlap, how can you then make sure that what you are having is candida die off? The best way to do this is to keep a food diary as soon as you start your candida treatment. This will also be helpful to organize your diet and make sure that you are not missing out any nutrition. You should note down your daily diet including any antifungal products you start. This will help you track exactly when you started anything new and when the symptoms started. Will everyone on treatment for candida get it? Not everyone on candida treatment will get die-off. The important thing to realise is that we are all different and different things affect us differently. Those who get die-off are either super-sensitive or are super-impatient. The super-sensitive: The more sensitive to the environment we are, the easier it will be for us to get die-off. Think about how easily things affect you – are you the first one to react to a particular food? Are you more sensitive to medicines and need lower doses of medicine (for example, Tylenol) for the same effect? If you are more sensitive, the good news is that you need much less treatment to get a cure! The bad news is that if you are not careful with your supplement doses and your diet, you are much more likely to get a herx reaction. If you are super-sensitive, start very slowly with any change to your diet and anti-candida supplements and products. Very gradually build up or taper down anything. And keep an eye on your anti-candida supplement dosage – you may not need as much as others do to get the same effect!! The super-impatient: The super-impatient are the ones who believe in instant cures – those who think that larger doses or going cold-turkey will cause them to get rid of their candida faster. Unfortunately, our bodies can only handle as much of anything. If we kill more infection than our bodies can handle to clear, it will only end up causing problems. It is in no way good to sit with a lot of candida dead cells in our system waiting for them to clear up – it overwhelms our system. It is like a traffic jam for our bodies. How do you like to get stuck in a traffic jam? If not, how can you think that your body would be happy with that? It will panic resist, and revolt! This revolt is die-off. This will depend on several factors like how sensitive you are, what sort of treatment you are taking, the type of diet, and dosage of the supplements. It can last from few days to a couple of weeks. Die-off generally is most intense in the first 24-72 hours, after which it starts tapering down. How sensitive are you? Regulate your diet and anti-candida supplement dose according to your sensitivity. Start very slow when making any change. Never ever take a huge dose of antifungal product or probiotics suddenly. Keep yourself hydrated – drink enough water. This will help wash out the harmful substances produced by dying candida. Keep your liver healthy – make sure that you have stopped alcohol for a while before you start on the candida regimen. Liver cleans out toxins from the body and will not allow the harmful substances to accumulate in your body. Have a well-balanced and nutritious diet. Do not go cold turkey on any component of your diet. You need enough vitamins, minerals and energy in your body to help clear out all the dead candida. Sleep well and enough – sleep helps detoxify your body and repairs it. Choose your antifungal supplements carefully. Supplements like CanXida Remove are sustained-released which means that they are released gradually in a controlled manner. This prevents die-off due to sudden killing of a lot of candida. Take a good quality Vitamin C. This will boost your immune system and also help clear the dead candida. Do not give up. Die-off can feel very negative in terms of your progress to good health, but you have been through the worst now and you know what not to do. After a short break to your anti-fungals and diet, gradually restart again. Can I see candida die off in stool? Please refer to signs and symptoms of candida for this question. Can a rash be caused by candida die off? How long is candida die off? How long will candida die off last? Please refer to the article for this. What is good to take during the die off? Is probiotic a good option? It is good to take plenty of water, vegetables, vitamin C and minerals during die-off. All these will help you clear the candida waste off and reduce the symptoms. Probiotic is not a good option right when you are suffering die-off as it may aggravate your symptoms by helping kill more candida and bad bacteria. Can candida die off kill you? It depends on your state of health. If you have a good constitution and do not have any other chronic diseases, die-off may be severe but not bad enough to kill you. However, if you have some other chronic illness and get a severe die-off reaction, it can be fatal. I have had cases where the individual was rushed to the hospital. Can I experience die off from diflucan? Yes, you can, as diflucan is a rather strong antibiotic. However, be aware that the side-effects of diflucan also resemble die-off symptoms. So, it is necessary to distinguish these side-effects from die-off. Talk to your doctor regarding any serious side-effects listed here. Can I experience die off from nystatin? Yes, you can. Nystatin is quite a powerful antifungal and can kill a lot of candida in a go. This can cause you to experience die-off. Bear in mind though that some of the side-effects of nystatin resemble die-off symptoms. If you have hives, difficulty breathing, closing of throat, or swelling of lips/tongue/face, it would be recommended to see your doctor to find out if it is an allergic reaction to the drug which immediately needs to be taken care of. Is fiber good during die off? Fiber can help improve bowel movement which is necessary to prevent dead candida cells from accumulating. Is charcoal good for die-off? Activated charcoal if taken should be taken in moderation. Yes, it can bind toxic material and help cleanse, but it also binds minerals that are essential for your well-being (and also for cleansing). Is die off connected to uric acid? Uric acid may accumulate as a result of your liver and kidneys getting overwhelmed due to die-off. Efficient removal of uric acid from our bodies is dependent on well-functioning liver and kidneys. So, yes, die-off could be connected to uric acid accumulation. How quickly can candida die off start? Candida die-off can start as quickly as a few hours after having made a change that kills candida really fast. It also depends on how sensitive you are – the more sensitive you are to changes in your body, earlier will you feel the effects of die-off. Is eye floaters a sign? Eye floaters can be benign and caused by age related changes to the jelly inside the eyes. A sudden increase in floaters can be caused because of tear in the retina and can result in loss of sight. However, floaters can also be a sign of candida endophthalmitis which is a rare condition occurring in patients with systemic candidiasis (systemic candidiasis generally happens to those who have undergone a surgical treatment). If you suddenly get a lot of eye floaters, it is important that you contact your doctor/ophthalmologist immediately. Do not ignore it. Is candida die off good or bad? Some people think that it is good to get die-off because it shows that your treatment is working. This would directly translate to “if you don’t get die-off, your treatment is not working”. I do not subscribe to this opinion. 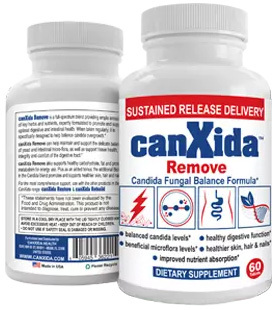 You can treat your candida infection without getting herx! It is possible to do this if you use a bit of common sense – please read more about this in the article above. It is not good to suffer die-off symptoms – it is not good for either your body or your mind (it overwhelms both) – some people get such severe die-off reactions that they have to be admitted to a hospital. And the truth is that it is avoidable without compromising the result of the treatment. So why would you want to get die-off? I feel I must have misunderstood something. Are you saying that Herxheimer was treating syphilis with arsenic and/or mercury, and when his patients exhibited symptoms of poisoning within hours of treatment, he attributed those complications to toxins released by a die-off of the disease? If I am only having diahrrea since taking Nystatin, is there any reason to feel I need to cut back? I started by taking 1/day and slowly worked up to 6/day, as prescribed by my doctor. I have only found I don’t have solid stools, ranging from chunky to runny. Some are brown and others are acidic yellow. I fo not feel sick in any other way. Thanks for your help in advance.